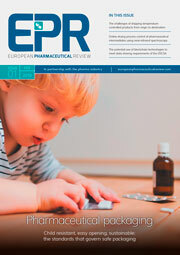 In the Foreword article contributed by Consultant David P. Elder in Issue 3, 2016 of European Pharmaceutical Review, entitled ‘Biosimilars: future prospects’, Dr Elder concluded that it is likely that biosimilars will become increasingly established in both Europe and the United States and that in addition to proteins and peptides, biosimilar monoclonal antibodies (mABs) will form a greater part of the future global biological market. 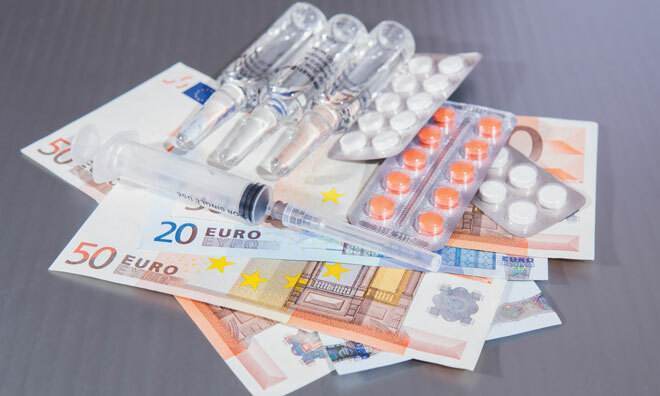 He also cautioned that biosimilar development is more complex than for small-molecule generics, which leads to higher costs and a likelihood of premium pricing in the market, which could in turn increase the burden on health services. Against the context of Dr Elder’s commercial outlook, in this article we will consider the litigation outlook for biosimilars from the perspective of patent exclusivity. Commercial and patent litigation considerations are usually closely intertwined: where there is money, there is litigation. The market for originator biologic products is huge; as Dr Elder noted, $50 billion globally for the mAB segment alone. Therefore, as biosimilar competition grows, can we expect to see an increase in the volume of biosimilar patent litigation? The short answer is: yes. From a slow start, we are now beginning to see a gradual rise in the number of cases issued, both in Europe and the US. This article will focus on the cases filed in the courts of the United Kingdom, which is one of the few jurisdictions outside the US where court decisions are freely available and third parties can access written arguments. 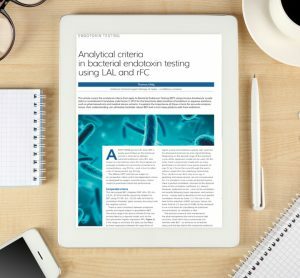 Until recently, almost all UK patent litigation cases on biologics concerned disputes between originator companies over competing original biologic products. There have been one or two cases concerning patented platform technology — such as Medimmune’s phage display technique for antibody production1 or, more recently, Regeneron’s patent for transgenic mice2 — but by and large patent litigation has concerned battles between originators over patents blocking a specific product market, often a mAB product. Being the highest value biologic products, and also some of the most challenging to develop and bring to market, mABs can be viewed as the bellwether for biologics litigation, as reflected by the subject matter of the first biosimilar cases described below. During 2012-2013 there was an initial bout of litigation activity in relation to the biosimilar infliximab (originator product: Remicade). Hospira challenged the validity of three patents owned by the Mathilda and Terence Kennedy Institute of Rheumatology Trust concerned with combinations of anti-TNF antibodies with methotrexate3 . The case settled. Inflectra, Hospira’s biosimilar infliximab product, was approved by the European Medicines Agency (EMA) a few months later, in September 2013. The following year, things warmed up further when biosimilar trastuzumab (originator product: Herceptin) took centre stage in the Patents Court with the beginning of what was to become three separate court actions to revoke five patents owned by Genentech4 . 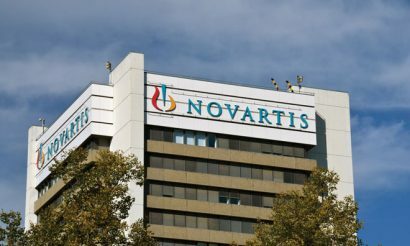 Again, the challenger was Hospira, seeking to clear the way in respect of certain follow-on patents for dosage regimens and formulations in order to gain freedom to launch a competing biosimilar following the expiry of the basic patent protection for trastuzumab in July 2014. The litigation remains ongoing at the appellate level but, at least at first instance, Hospira was successful in revoking all patents challenged. However, biosimilar trastuzumab has yet to be authorised by the EMA. In late 2015, litigation stepped up yet another level, with two separate actions filed against follow-on patents for rituximab (originator product: MabThera) and a further two separate actions against follow-on patents for adalimumab (originator product: Humira). Hospira was responsible for one of the rituximab actions5 , Celltrion the other6 . The actions against the adalimumab patents were brought by Fujifilm Kyowa Kirin Biologics7 and Samsung Bioepis together with Biogen8 . Suddenly, it appears that biosimilar litigation has become popular. Thus far, biosimilars have not been challenging the basic patents protecting the mAB molecules themselves. This is not surprising: these are typically very robust patents, respected by competitors. It was notable, for example, that in the trastuzumab litigation, Hospira mounted its first challenge significantly before the basic patent expiry but did not challenge the basic patent itself. In relation to infliximab, it was publicly reported that Hospira and other licensees of biosimilar products were waiting out basic patent expiry before entering the market9. However, surrounding the basic patent protection of any drug product is a penumbra of other patents. 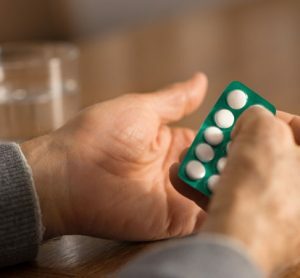 Sometimes called follow-on, or secondary patents, these typically protect a number of associated inventions connected to the drug, such as the method of administration, dosage regimen and formulation. 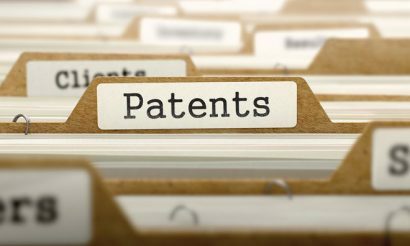 For some of the topselling biologic molecules, there are a vast number of follow on patents, the term of which far outlasts the basic patent but the strength of which can vary. These are the targets of biosimilars seeking to gain access to the market. By way of example, it was argued in the ongoing UK adalimumab litigation that there were no fewer than seventeen follow-on patent families, each family deriving from the same application, and within each such family often at least one divisional application and sometimes more10. It was argued that this created “a dense thicket of patents” around Humira, albeit that this was a point on which the judge did not consider it necessary to make a finding of fact. One way through such a thicket is to challenge the patents centrally upon grant at the European Patent Office (EPO), where applicable. European patents granted by the EPO take the form of a bundle of national rights, which must be invalidated country-bycountry under national court or patent office proceedings. However, for a brief nine-month period, it is possible to oppose the grant of the patent, centrally, via Opposition proceedings. If successful, this clears the entire bundle in one fell swoop. Unfortunately, once commenced, the duration of Opposition proceedings at the EPO is extremely variable, sometimes taking many years. Indeed, it may even take as long as a decade once appeal proceedings and possible remittal back to first instance takes place. Nevertheless, the opportunity to knockout patents centrally remains highly attractive to competitors, particularly given the relatively low cost of this procedure when compared with most national litigation systems. Invalidating patents in advance is not essential before launch of a biosimilar product but is usually seen as a prudent strategy, as illustrated by the examples of trastuzumab and adalimumab in the UK. 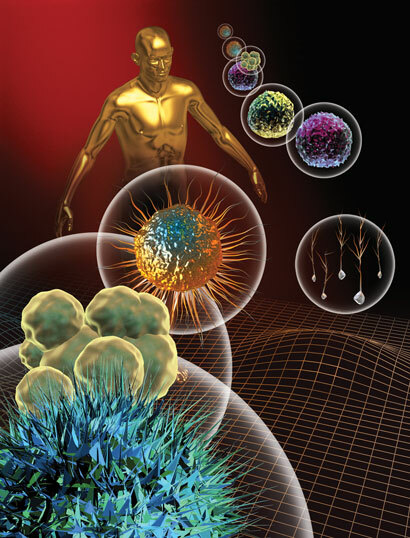 Biosimilars are the products of significant technical development and considerable financial investment. To jeopardise this by launching ‘at risk’ is not a decision to be taken lightly or without careful calculation. The risk of launching with patents still in force is that the product could be immediately injuncted on a preliminary basis (pending trial). This may result in future sales being stopped and potentially even existing sales recalled, damaging both commercial supply and reputation in the marketplace. In order to avoid a preliminary injunction, the efforts which must be made to invalidate patents in advance depends on jurisdiction. For example, it may merely be necessary to initiate invalidity proceedings or, instead, it might be necessary to progress the proceedings to a conclusion. In some countries, such as Germany and Austria, national invalidity proceedings cannot be initiated at all during the pendency of EPO Opposition proceedings. In the UK, the prevailing jurisprudence indicates that where there is a risk of infringement, competitors must make reasonable efforts to “clear the way” before launch if a preliminary injunction is to be avoided. Recent cases such as Novartis v Hospira11 and Napp v Dr Reddy’s and Sandoz12 have indicated that the courts’ expectation that a generic pharmaceutical company should clear the way before launch includes not just first instance invalidity proceedings but appeal proceedings too. This means planning ahead, ideally two or three years in advance. Given the difficulties in receiving regulatory approval for biosimilars, this means that decisions on litigation strategy may have to be taken before certainty is reached in respect of the product launch date. One might think that it is prudent, therefore, to err on the side of caution. However, clearing the way too early, long before product approval, carries the risk that a competitor takes the benefit of the clearance by being first to market, without having to carry the burden of the litigation, including its costs. Patent thickets include not only granted patents but pending applications. How is a biosimilar to achieve certainty that it is free from the risk of patent infringement not just upon launch but throughout its life on the market? Can steps be taken to mitigate infringement risk in respect of future patents? This is a topical question because it lies at the heart of both the adalimumab cases presently pending in the UK13. In these cases, Fujifilm and Samsung Bioepis are seeking a declaration from the court that their biosimilar adalimumab products are nothing more than known embodiments or obvious modifications of the state of the art at the date on which Abbvie’s pending Humira patents were filed. The effect of such a declaration would be to neutralise the effect of Abbvie’s pending patents because if the biosimilar products were already known, or were obvious, then any future patent that covered such products would be held invalid for lack of novelty or lack of inventive step. It remains to be seen whether the court will grant the declarations sought, but in a decision from March this year14 it has already indicated that, in principle, such a declaration is possible, based upon an earlier precedent concerning the drug alendronate: Arrow Generics v Merck15. The Arrow case settled before it reached trial so such a declaration has never yet been granted in the UK, albeit that the parallel Dutch case did progress to judgement in the District Court of the Hague, which granted the declaration sought, finding16 that the generic alendronate tablets were an obvious modification of the state of the art. The case law to date on these so-called “Arrow declarations” suggests that they will not be suitable in every case. For instance, the biosimilar product must be defined in strict terms — for example, a specific dosage regimen for a particular indication as was the case in the alendronate and adalimumab cases. This may not work so well if the pending applications concern a formulation and if there is some doubt about whether the biosimilar would be formulated in the same way. Also, it is possible that the court will only consider making a declaration if the biosimilar is also contesting the validity of granted patents at the same time, and hence has a reason to be in court. It would put an onerous burden on the court system if cases could be brought in respect of pending patents alone. The court may ask the applicant in such cases to wait for the threat of such patents to materialise, or at least clarify, once the wording of the claims is finalised or the proprietor’s intention to pursue prosecution is manifest. The decision of the court in the adalimumab cases is awaited with interest. Injunction prospects Whether the courts would grant preliminary injunctions against biosimilars with the same readiness that they have shown in relation to small-molecule generics is not yet certain. 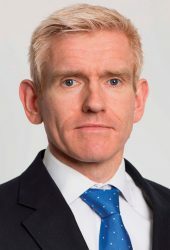 At least in the UK, the courts have been willing to grant injunctions on small-molecule patents, in large part because competition between generics is so fierce that once the market is entered by one generic, there is a ‘feeding frenzy’ of activity by others that serves to drive the price of the originator product down to a level from which it will never recover. The need to prevent this irreparable harm pending trial is usually a winning argument in preliminary injunction applications. However, it is not clear whether the same considerations would apply to biosimilars. Unlike small-molecule generics, which are able to obtain a marketing authorisation relatively cheaply and quickly, biosimilars are much more heavily invested and hence fewer in number. It is therefore unlikely that there would be the same ferocity in competition and perhaps less price pressure as a result. A stable duopoly may be possible, in which case damages, rather than an injunction, may be an adequate remedy for an originator seeking to protect its position pending trial on the question of patent infringement. From a slow start, biosimilars patent litigation is now well underway. At least in the UK, the litigation is following the traditional ‘clearing the way’ model in which competitors are seeking to revoke originator patents prior to product launch. Such patents are usually followon patents covering aspects of the originator product such as its dosage regimen or formulation. These patents are often so prolific that, in a bid to seek lifetime freedom for their products, some biosimilars are pursuing novel clearance strategies designed to neutralise pending originator patent applications in addition to granted patents. Being heavily invested in their products is likely to make biosimilars more risk averse in litigation, but it also means that there are fewer competitors on the landscape, relative to small-molecule pharmaceuticals. Whether this means that the injunction risk is lower remains to be seen. Dr Dominic E. Adair specialises in contentious intellectual property matters, including patents, trademarks, registered designs and copyright. He has a science background and experience in diverse technology ranging from pharmaceuticals to computer games. Dominic has extensive experience of cross-border litigation, in and beyond Europe, and for many years has worked closely with one of the world’s largest pharmaceutical companies on the litigation issues surrounding the life cycle of some of its blockbuster drug products.